We saw the markets reversing direction on June 24 in quite a dramatic fashion.. So astrologically for the week beginning on July 01 to 05, we expect consolidation with an upward bias. How does the wave count look like? We see a bar reversal and a possible cycle reversal last week. 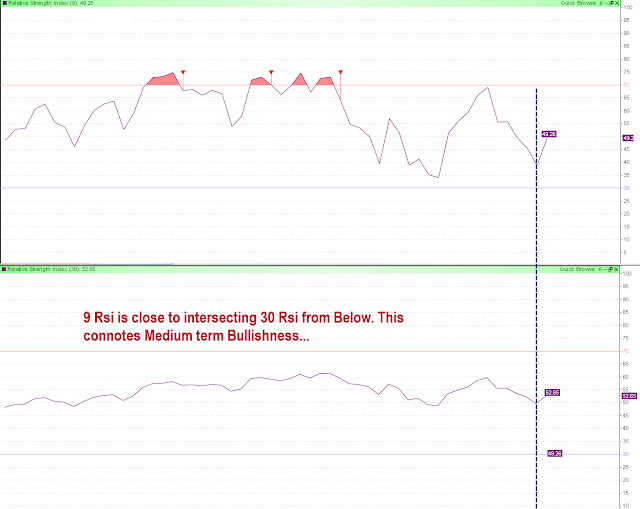 So technically we are in a medium term bounce up. Astrologically we may see the present trend continuing up till July 10/12 and then reversing down first. 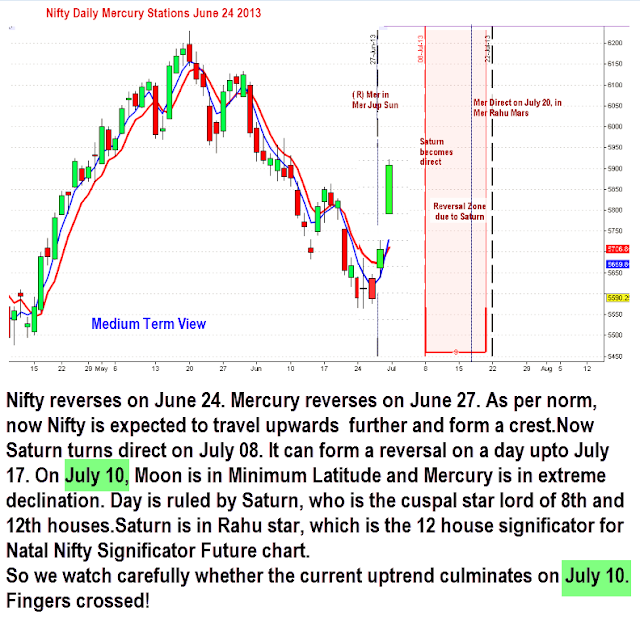 For trading we need to observe that since we are in Mercury retro period, that too of a Mercury in his own house, we need to be cautious that prices will not take support or resistance at expected places. So we have to book our profits sooner or else reverse movements will eat away the profits.